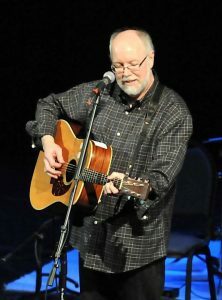 Smyrna singer and songwriter Pat Terry will hold a concert to launch his new album, “How Hard It Is To Fly,” benefitting the Homeless Pet Foundation. The March 22 concert will be at the Smyrna Community Center. “I’ll be joined by my friends Jim Hettinger on keyboards, and Carole Ford and Vanessa Conner singing like the angels they are,” Terry posted on Facebook. The evening begins with a cocktail hour featuring Luke Smith at 6:30 p.m. Followed by Terry until 9 p.m.
VIP tables are available in limited supply, $120 for a 6 seats table including 12 drink. Individual tickets are $25, including two drink tickets. Tables and Tickets can be purchased at www.smrynaga.gov/. The event is sponsored by Dr. Good Vet Clinic, Pet Spa, and Smyrna Parks and Recreation Department. 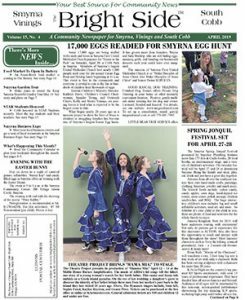 From the March 2019 issue of The Bright Side, Cobb County Georgia’s Newspaper covering Smyrna, Vinings, Mableton, Powder Springs and Austell, GA.